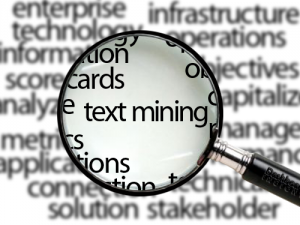 We are pleased to invite you to attend an upcoming Webinar on the Text and Data mining functionalities of the PoolParty Semantic Suite. This webinar will introduce PoolParty Semantic Suite, the main software product of Semantic Web Company (SWC), one of the leading providers of graph-based metadata, search, and analytic solutions. PoolParty is a world-class semantic technology suite that offers sharply focused solutions to your knowledge organization and content business. PoolParty is the most complete semantic middleware on the global market. You can use it to enrich your information with valuable metadata to link your business and content assets automatically. The webinar will present and explain these features in the PoolParty software environment, show demos based on real world use cases and finally showcase 3rd party integrations (e.g. into Drupal CMS). Timea Turdean studied Computer Science at the Technical University of Cluj-Napoca, Romania, Faculty of Computer Science and Automation – English section, and graduated as Bachelor in June 2010 with the Thesis: “Quality and Visibility of Interdisciplinary Doctoral Programs”. From October 2010 to April 2014 she participated in the Business Engineering and Computer Science – master program of the technical University of Vienna, Austria and graduated as Master in April 2014 with the Thesis: “Identifying people’s affective responses to the environment from social media data” (Topics: affective response, valence, sentiment analysis, natural language processing, Flickr metadata). During her studies and directly afterwards she worked as developer in several companies like NOKIA R&D, Cluj-Napoca, Romania, Signal Processing & Speech Communication Lab, Technical University in Graz, Austria or Zoomsquare.com, Vienna, Austria. Timea Turdean started to work at Semantic Web Company in February 2015 as technical consultant with special focus on text-mining and text-analysis solutions as well as text-extraction and fact-extraction mechanisms and also on graph databases as well as integration of PoolParty Semantic Suite into Content Management System (as e.g. Drupal CMS). Martin Kaltenböck studied communication, psychology and marketing at the University of Vienna. He is co-founder and managing partner of the Semantic Web Company and as CFO responsible for financial and organisational issues. Furthermore, he leads and works in several national and international research, industry and projects in public administration – mainly in the areas of project management, requirements engineering and communication activities. He is tutor and publishes in the fields of semantic data- & information management, Linked (Open) Data as well as Open (Government) Data and social semantic web. He is lecturer at national and international conferences and business events in the mentioned topics. Martin Kaltenböck is Certified Management Consultant since 2006, member of the Executive Board of the Austrian Chapter of the Open Knowledge Foundation (OKFN) as well as Member of the Advisory Council of the Open Knowledge (Foundation, UK) and invited expert of the governmental Cooperation OGD Austria. He is working as invited expert of W3C and is member of the Steering Board of the European Data Forum that he chaired in 2014. We look forward to your participation in this Webinar !